Dawn was launched in 2007 by NASA/JPL and was built by Orbital Sciences becoming their first interplanetary spacecraft. Dawns mission was to visit the two largest dwarf planets in the Asteroid belt, Vesta and Ceres. After visiting Vesta for over a year in 2011-2012 Dawn used its ion engines to break orbit, and travel to Ceres, a journey of 2.5 years. In the next few hours Dawn will be captured by Ceres gravity and begin orbiting it. These protoplanets, are very interesting scientifically as they provide a look into our solar systems past. 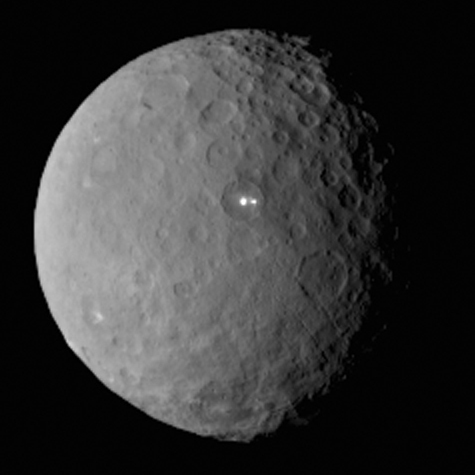 Dawn will orbit Ceres for several years and perhaps discover what the mysterious bright spots are, among other things. Studying a planet, even a dwarf planet, requires processing power, and for that Dawn is well equipped. Dawn is solar powered, so power budgets are of great concern. At 3AU (three times further from the sun then Earth) Dawns solar panels are rates at about 1300 Watts. This has to run all the science experiments, the main computers, the comms, and most importantly the electric ion engine, which uses electricity generated from the panels to excite and eject Xenon gas at very high velocities. Thus, power consumption is more important then raw processor power here, especially for the systems that are on most of the time. In less then an hour (11/12/2014 @ approx 0835 GMT) 511,000,000 km from Earth the Philae lander of the Rosetta mission will detach and begin its decent to a comets surface. The orbiter is powered by a 1750A processor by Dynex (as we previously discussed). The lander is powered by two 8MHz Harris RTX2010 16-bit stack processors, again a design dating back to the 1980’s. These are used by the Philae CDMS (COmmand and Data Management System) to control all aspects of the lander. All lander functions have to be pre programmed and executed by the CDMS with absolute fault tolerance as communications to Earth take over 28 minutes one way. The pair of RTX2010s run in a hot redundant set up, where one board (Data Processing Unit) runs as the primary, while the second monitors it, ready to take over if any anomaly is detected. The backup has been well tested as on each power cycle of Philae the backup computer has started, then handed control over to the primary. This technically is an anomaly, as the CDMS was not programmed to do so, but due to some unknown cause it is working in such a state. 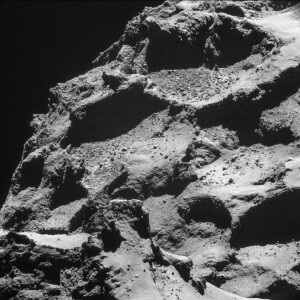 The fault tolerant programming handles such a situation gracefully and it will have no effect on Philae’s mission. Why was the RTX2010 chosen? Simply put the RTX2010 is the lowest power budget processor available that is radiation hardened, and powerful enough to handle the complex landing procedure. Philae runs on batteries for the first phase of its mission (later it will switch to solar/back up batteries) so the power budget is critical. The RTX2010 is a Forth based stack processor which allows for very efficient coding, again useful for a low power budget. Eight of the instruments are also powered by a RTX2010s, making 10 total (running at between 8-10MHz). The lander also includes an Analog Devices ADSP-21020 and a pair of 80C3x microcontrollers as well as multiple FPGAs. 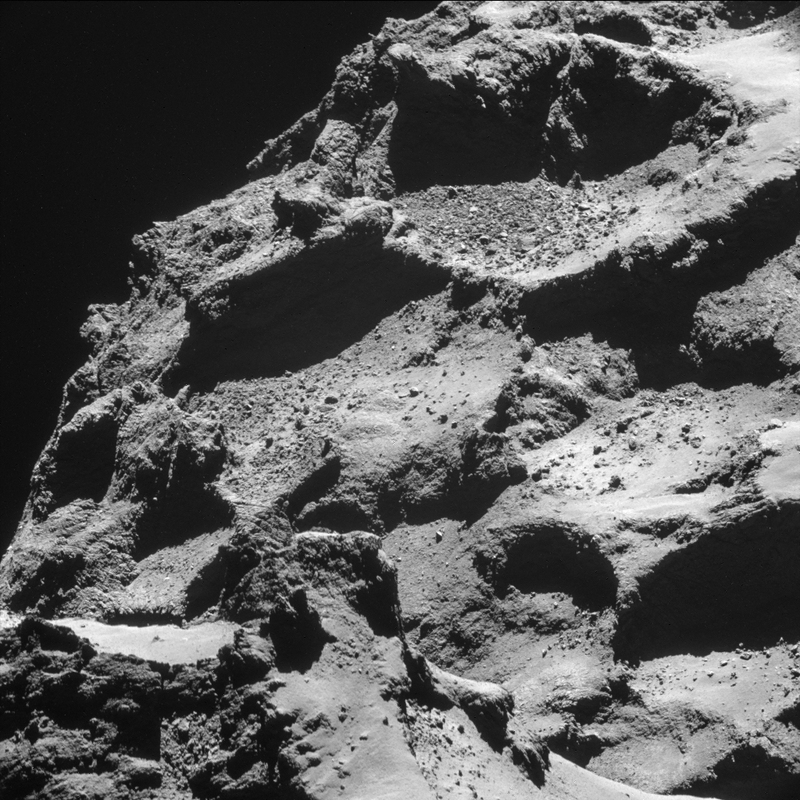 The ESA’s comet chaser Rosetta has just today awoken from a long deep sleep on its comet chasing (and landing) mission. The solar powered spacecraft was launched back in 2004. It is based on the Mars Mariner II (itself based on the Voyager and Galileo) spacecraft design of the early 1990s (when the mission was first conceived.) 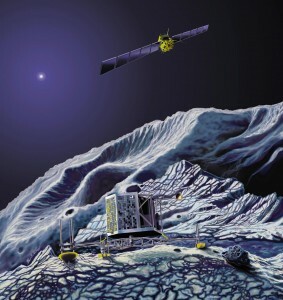 Main differences include using very large solar arrays versus a RT (Radioisotope Thermal Generator) and upgraded electronics. In order to conserve power on its outward loop (near Jupiter’s orbit) most all systems were put to sleep in June of 2011 and a task set on the main computer to waken the spacecraft 2.5 years later and call home. The computer in charge of that is powered by a Dynex MAS31750 16-bit processor running at 25MHz, based on the MIL-STD-1750A architecture. A reader recently asked why such an old CPU design is still being used rather then say an x86 processor. 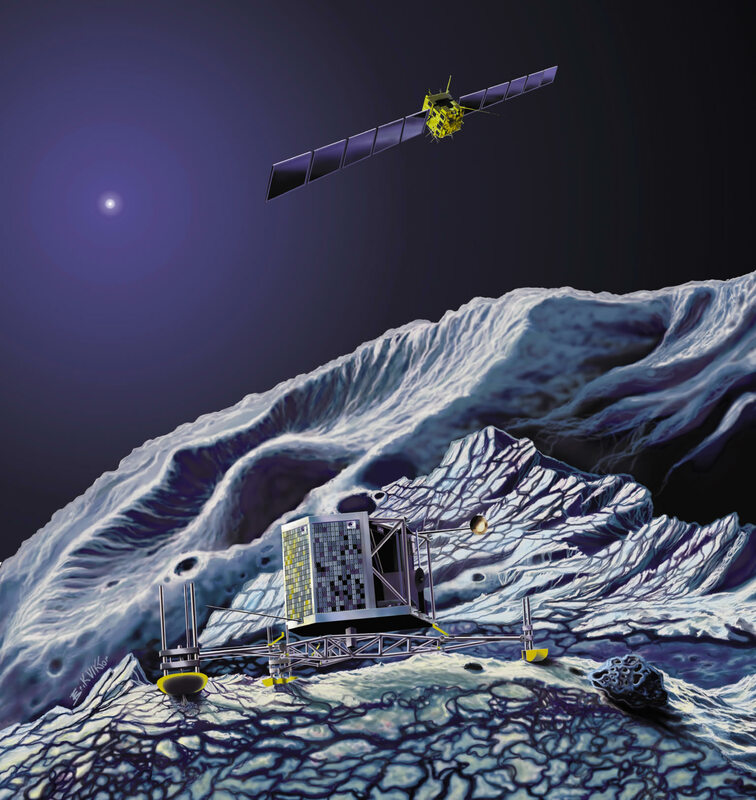 As mentioned above the Rosetta design was began in the 1990’s, the 1750A was THE standard high reliability processor at the time, so it wasn’t as out of date as it is now that its been flying through space for 10 years (and 10 years in the clean room). The 1750A is also an open architecture, no licenses are or were required to develop a processor to support it (unlike x86). Modern designs do use more modern processors such as PowerPC based CPUs like the RAD750 and its older cousin the RAD6000. Space system electronics will always lag current tech due to the very long lead times in their design (it may be 10 years of design n the ground before it flies, and the main computer is selected early on). x86 is used in systems with 1) lots of power, and 2) somewhat easily accessible. Notably the International Space Station and Hubble. x86 was not designed with high reliability and radiation tolerance in mind, meaning other methods (hardware/software) have to be used to ensure it works in space. Currently the ESA designs with an open-source processor known as the LEON, which is SPARC-V8 based.